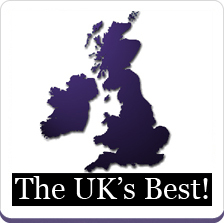 If you are looking for a Caricaturist in the Derbyshire area - look no further! 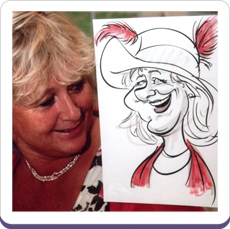 Magical Memories specialise in providing Caricaturists in the Derbyshire area for: Weddings, Parties, Birthday's, Bar Mitzvahs, Drinks Receptions, Corporate events, conferences, trade shows etc etc. As our team of expert caricaturists are extremely flexible, they are happy to adapt to your specific requirements for your Derbyshire party and can print the paper with a message / logo to make it personal to your specific event. If you would like to find out what Magical Memories Caricaturists can do for your Derbyshire party, simply get in touch for a free no obligation quote and more details on the Caricature Artists available in your area. "The event went really well and was a lovely surprise for everyone. Thanks once again for all your assistance in arranging such a fantastic caricaturist. 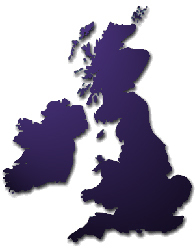 I have passed your details on to several people who have expressed an interest. We had a wonderful day. Thank you." 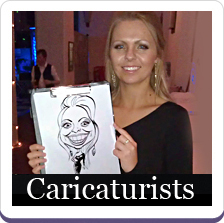 "Just wanted to say how pleased we were with the Caricaturist who you supplied for our Wedding on Sunday 11th July... He worked bl*?dy hard! Everyone wanted one done I think & he stayed to make sure everyone did. He even had to do ours wile we were dancing, as it was his only chance to catch us! :) Really nice addition to our wedding! Would definitely recommend you guys. Thanks again, "
"Just a quick note to ask you to pass on our thanks to the Caricaturist who came to the wedding party last Friday. He was really good and stayed beyond the 3 hrs to finish everyone who wanted to take part. I would recommend him any time. Once again many thanks"